Behold, we are going up to Jerusalem, and the Son of Man will be handed over to the chief of priests and the scribes, and they will condemn him to death and hand him over to the Gentiles to be mocked and scourged and crucified, and he will be raised on the third day. 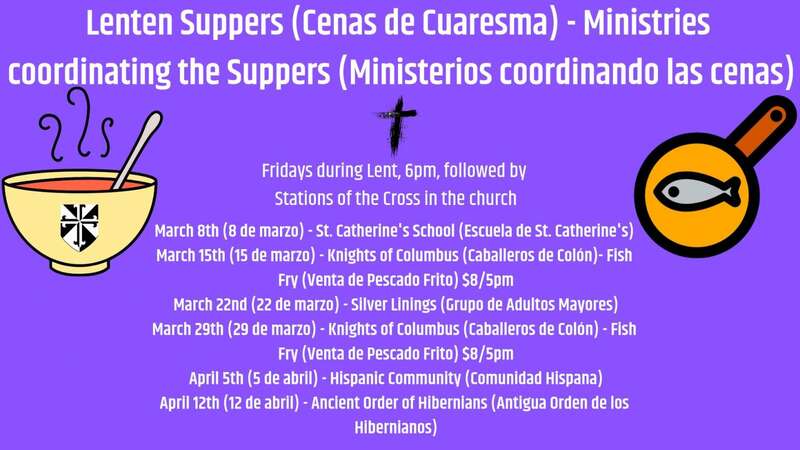 Every Friday in Lent, various apostolates sponsor a Soup Supper (and the Knights sponsor two Fish Fries), followed by Stations of the Cross. Stations are bilingual and the soup is free; though Fish Fries are $8/per person and max. $32/family. All school and parish families are invited to attend. Just for fun, do you prefer soup or fish on Fridays in Lent? Neither. I prefer pizza or pasta. This year, the school is offering several summer camps: chess, theology, basketball, soccer, and flag football. These camps are open to parish AND school families. Visit https://school.scswf.org/summer-camps for more information. School registration is still open. Watch the video below to hear from our kindergarten class on why they like St. Catherine's! This Lent, St. Catherine's is giving a gift to our parishioners of Bishop Barron's Word on Fire video series. 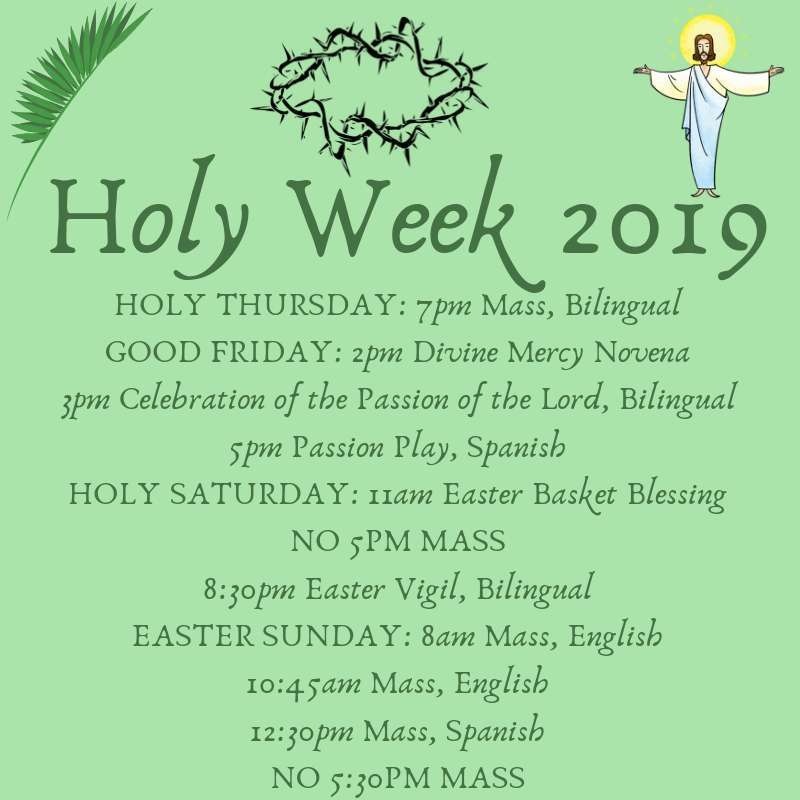 Whether for personal Lenten reflection or familial faith formation, Fr. Bill John, Fr. Jim, and parish staff invite you to explore what Word on Fire has to offer. Simply click the orange play button on the video below; it will open a new page to view this email. You can then click play to watch the video on The Cross, or you can click the link that will be found below the video to access the Word on Fire library.